Joint Project with Macrogen, the Pilot Service of “Geno Chain”, the Genomic Big Data Distribution Platform, will be launched at the end of next year. 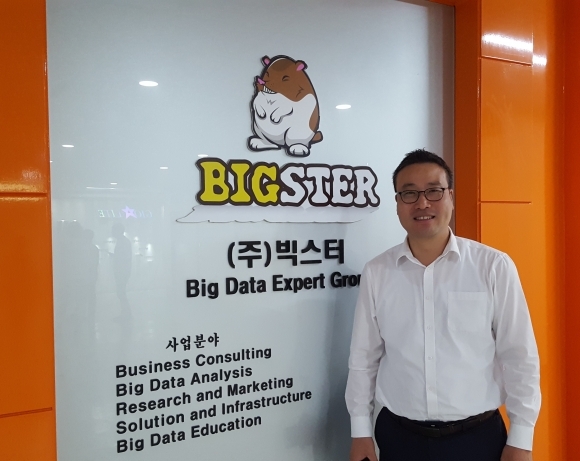 In last August, Bigster, the domestic corporation specialized in Big Data and Blockchain Platform, announced the development of “Genomic Big Data Distribution Platform based on Blockchain”, as a joint project with Macrogen. Bigster recently released the Bowledger Ver. 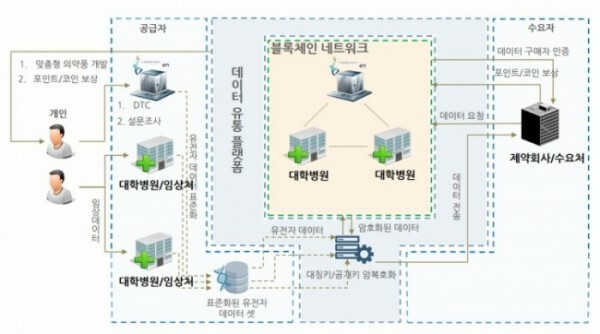 1.0, the spontaneous Blockchain Main-Net Platform to be applied to the “Geno Chain” (http://www.bowledger.com). Based on this, Bigster plans the release of pilot service of “Geno Chain”, the genomic Big Data distribution and compensation platform, at the end of next year. The offering of cryptocurrency (ICO) is scheduled in the second half of 2019. The process designed for the project of the production, sharing, and distribution of genomes and expressive data are as follows. Above all, the samples of genetic information comprising genomic data, DTC, or results of survey etc. are uploaded by individuals, medical institutions, and enterprises. Subsequently, the reference values for collected data are defined and uploaded for the storage of standardized data. The standardized dataset of genomes are set with access rights thereto and the unique identification value is created through encryption/decryption of symmetric/public keys. Thereby the encrypted data are distributed in the blockchain network on diverse demands. As a next step, the consumers pay suppliers of encrypted data with points or cryptocurrency. Finally, the brokerage platform for genomic data distribution based on blockchain is born. Both Bigster and Macrogen will exploit the technology of “Consortium Blockchain” that can restrict the “Block Producers (BP)”. It is a limited network to be opened solely for the parties (pharmaceutical companies, hospitals, research institutions, and corporations specialized in genomic analyses) granted with given access rights secured through preliminary agreement. It is based on the concept which is different from that of “Nebula Genomics”, which is open to the public based on the technology of “Public Blockchain”. President Lee explained, “... We thought that the employment of consortium blockchain would be better for the distribution of genomic information that should be protected as private information of individuals than employing the public blockchain which is opened to public participants. The Public Net wherein individuals may participate should be implemented with the homomorphic technology for which embodiment is currently very difficult with no knowledge for future availability thereof.”, “... to enable actual embodiment thereof, we are planning to construct the BP Consortium Network comprising the producers in their 20s and 30s. It is a substantial approach in taking the data distribution technology based on the blockchain, which is still in the stage of research, into account. Highly sophisticated encryption and measures for preventing identification of encrypted information are needed to protect the genomic information from hacking, security risks, and infringement of the privacy of health information for the distribution of genomic information. Bigster uses the dual encryption/decryption of personal keys to secure private information of individuals. The patented dual encryption/decryption based on the public- and symmetrical keys will be employed for the construction of the platform. Macrogen will apply the methods, made for the provision of bioinformation based on the blockchain, for preservation of bioinformation, and the patented bioinformation transmission system, to the project. Bigster also considers expansion of the project in a way to accommodate clinical information and DTC data as well as to secure more accurate expressive data. He expressed his anticipations, “... I hope that the combined exploitation of clinical data and genomic data would be applicable to the development of customized new drugs in the future.” He also added that the convergence and connection of data will be enabled on the distribution platform of the genomic Big Data of Bigster and Macrogen. Bigster and Macrogen consider international standards and are planning to present guidelines for the standard data enabling sharing and transaction of genomic and expressive data of different types. Data transmission technology is being developed by application of encryption of public key to set an access right to data. Bigster also prepares for ways to activate the distribution platform. It intends for an increase of (direct/commissioned) participants by providing them with compensation system other than token. Bigster and Macrogen intend to provide analytic services included in the DTC services of genomic examination by downloading through the “Apps”.